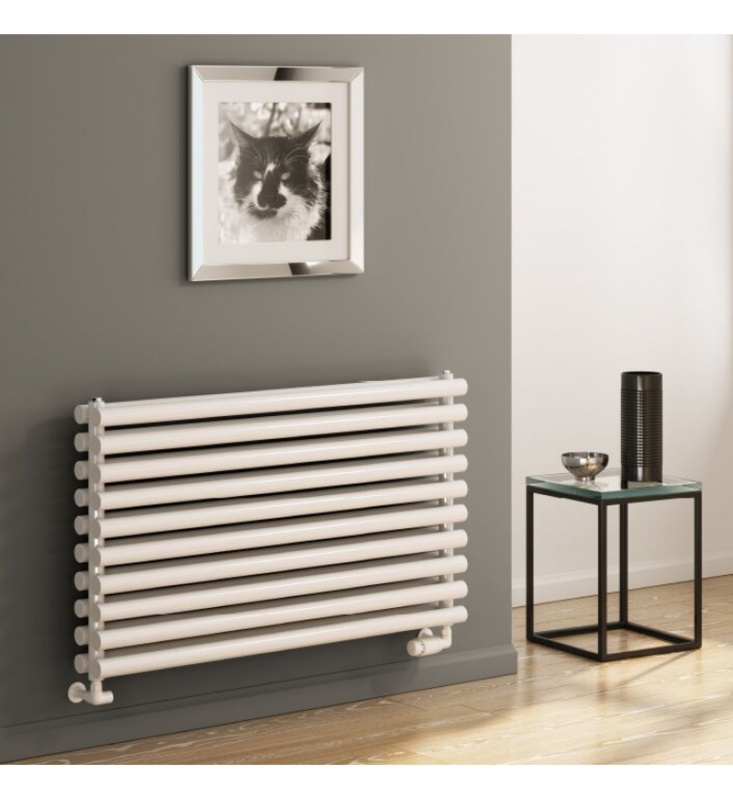 The Reina Roda horizontal radiator is constructed from round horizontal tubes, creating a strong feature. Prices include Delivery & VAT - no nasty surprises at the checkout! Discounts available: on multiple purchases. Just call. Range: 590 mm x 5 widths - 600mm to 1400mm. Single & double. Finish: White & Anthracite as standard, RAL colours optional. Mounting: Wall only, brackets supplied. Pipe Centres: Length minus 15mm + valves, and 47 mm (single) or 82 mm (double) off the wall. FREE Next Day Delivery: GB mainland, Highlands excluded. Image: Roda 590 x 1000 double in white.